Cast a vote that counts. You’ve read the stories, seen the pictures, followed the science, columns, and opinions…. So why are we’re passing the hat? To raise a little cash, meet new volunteers and learn how you think we’re doing. .
MONEY TALKS: The easiest way to do all that is at the ballot box where you can cast your buck. The donation of even a dollar, pound, or euro or two is enough to let us know you’re there…and you’re part of the Forum. Kick in more, if you can afford it to save us all the interruption of fundraising. 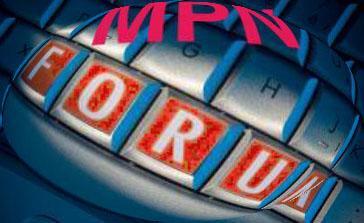 MPNforum Magazine is entirely free and openly shared worldwide. We are supported by donations from fellow patients and caregivers …with donations of any amount. Vote with your cash. When tallying support votes, a single dollar will carry as much weight as a hundred dollar bill . We need to know you’re out there and value the work so many do each month to tell their stories and share their experience. Times are hard and money a little tight? It’s not the amount – a buck or two will do. You can also vote by mail. Donations and contributions are NOT tax-deductible. Sorry, Joan…it’s our error, not yours. Our world is so engaged with MPNforum Magazine that we forget the rest of the universe doesn’t revolve around our publication schedule. Thanks for pointing it out. We publish ON-LINE at http://www.mpnforum.com on the 15th of the month. Glad you found the magazine.